Commercial doors really are one of the most important elements within the building regarding commercial establishments that offer security and safety within the property. Presently there are an assorted choice of doors on the market primarily roll-uo doors, sectional doors, personnel doors, roof hatches, dock leveler, and impact doors to accommodate the continuously growing demand for commercial doors. Most people are knowledgeable about the belief that commercial doors are probably the most crucial components within the building of commercial establishments mainly because they ensure the protection as well as security within the property. Currently there are many commercial doors to select from, each one using their very own unique feature, visual appearance, as well as a good quality rating, each one constructed with various materials. Hollowed out metal commercial doors, roll-up doors, as well as impact doors will often be utilized within the main entry ways at many industrial and commercial locations having safety and security as its main objective. Commercial doors are designed to complement certain requirements specialized for the kind of business. The commercial doors suppliers produce these types of doors designed for safety and security as well as atheistic visual appearance and also ease of operation at the same time offering and simple unit installation along with top quality materials to help keep repairs and maintenance costs as low as possible. 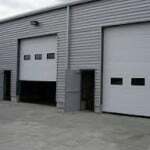 Sectional commercial doors are normally utilized for loading docks as well as auto or truck entry/exits within a commercial property. Based on the consumers personal preference there’s a wide array of choices to select from. Some of these consist of insulation, windows, motor operation, track quality and also motor operation system. Sectional commercial doors are typical regarding commercial applications, but sometimes block over head light whenever it is rolled up. If that is an issue the “roll-up” type of door is definitely an alternative. Roll-up commercial doors are normally utilized on industrial properties designed for loading docks as well as auto or truck entrance locations. As the name would suggest, the actual commercial doors will be rolled up in to a cylindrical canister which mounts over the door opening. These types of space-saving doors may be manually operated or even motor-driven, based upon customer preference during unit installation. Window slots can even be incorporated designed for easy visibility to the outdoors, commonly it is necessary for you to see who’s knocking. These types of commercial doors are utilized by staff members and / or visitors to gain access to various sections of a building, essentially managing the passage of individuals. These kinds of personnel commercial doors can be built in several shapes and sizes and using a wide array of materials. It is strongly advised that business proprietors thoroughly evaluate their particular door access requirements prior to selecting the actual doors that will be installed. Consulting with a professional door installation company is definitely advisable to learn the door materials, options as well as functional capabilities for each style and brand. Roof hatches are actually a high security personnel commercial doors generally utilized for accessibility to commercial building roof top areas. These types of specialized commercial doors are frequently installed but rarely utilized. That is the reason why it is crucial that you use a top quality door which will open up in the event of an emergency, and / or whenever roof top repairs and maintenance are needed. Appropriate locking systems are essential regarding roof hatches for preventing break-in in addition to easy exit in an emergency with regard to code compliance inside a commercial building. Many commercial properties contain loading docks designed for shipping and receiving of merchandise. By using large equipment, pallets of merchandise as well as a noisy atmosphere, this can be a breeding ground for accidents to occur. Dock levellers are frequently used to reduce injuries, ensuring the particular dock leveller functions reliably while offering a level and gradual link from the dock to a tractor truck trailer meant for loading and un-loading. Complications by using a dock leveller typically result in injury, therefore reliability along with simplicity of use is vital for the safety and security of employees. Dock seals can also be very important to safety and security, keeping a wind and rain seal outside the indoor dock loading surroundings, protecting against wet slippery surfaces and / or debris coming in in the course of dock loading functions. These types of commercial doors are utilized throughout high traffic areas, commonly found in dining establishments in order to block the view in the kitchen area. These types are also found in higher traffic temperature controlled areas. 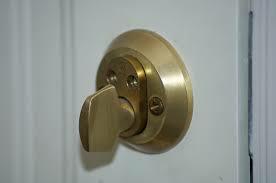 As the name suggests these types of doors open up whenever you impact them using a hand or a cart. These doors are extremely hard-wearing that swing both ways and also immediately go back to the shut location when they are not held. These types of doors may have a high-risk of injuries if they are not operated properly by staff members. These kinds of doors usually have some sort of window to view who is on the opposite side, avoiding collisions as well as impact with someone else or perhaps an object. Its is essential to teach all staff members about impact doors to look in the window prior to going thru the actual door. This common-sense technique may seem apparent however it frequently will get overlooked, leading to serious injuries whenever people are in a hurry or are simply not paying particular attention.